Clear Glass Electric Oil Warmer Clear. 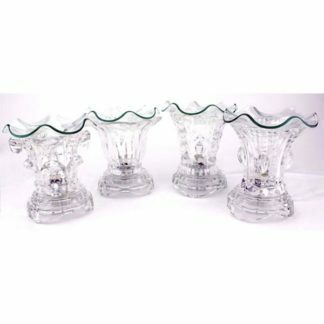 This unique electric fragrance oil lamp is designed to fill the area with a refreshing aromatic scent. Unlike candle based oil warmers, you are in control. 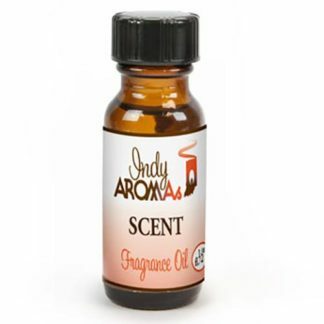 The fragrance oil lamp can serve as a nightlight, or create a relaxing mood with soft light and sweet smelling scents. This lamp is safe to use in any area of the home, like our candle warmers there is no flame. You can adjust the heat level to be safe for any area. Simply place fragrance oil or a wax tart onto the small glass plate on the top of the lamp, plug it in and adjust the dimmer. Always let the lamp cool before adding more oil or wax to the glass plate. This oil warmer uses a 35W halogen bulb. Replacements are available at most hardware stores.